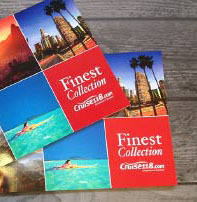 The Finest Collection offers you the chance to create your dream holiday. Whether you’re longing to dive along the Great Barrier Reef or visit the pyramids in Egypt, we can create a bespoke package just for our SixStarCruises customers. One of the most popular destinations for the Finest Collection is Japan, where the cherry blossoms bloom and temple-lined regions can be explored. With so many options for tours, experiences and ports of call to explore in Japan, here are some of our favourites which you can add to your Finest Collection. Spend some time in Tokyo and experience a masterful combination of tradition with modernity. 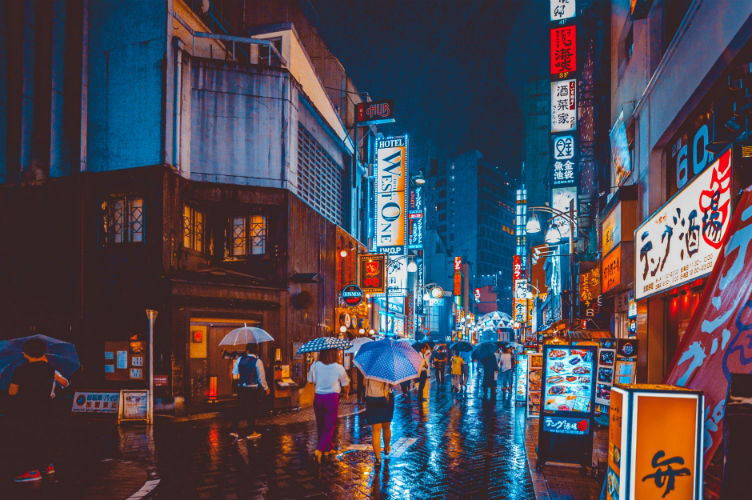 Follow neon lights to some of the world’s top restaurants, which have helped pinpoint this city as one of the best places to dine in the world – it has 314 Michelin stars! Climb to the top of the world’s tallest tower, Tokyo Skytree (600m) and witness the landscape of this remarkable city, spotting the peak of Mount Fuji as it pierces the skyline above the skyscrapers and bright lights. Explore traces of the region’s history on the kabuki stage, at a sumo tournament or under the cherry blossoms, alongside the sky-scraping business blocks and pop-culture trends. While the futuristic Tokyo is a sight to behold, the shadows of what once was are just as intriguing. Though this region is one which will stick in most people’s minds for its devastation in 1945, Hiroshima is far from a depressing place. The Peace Memorial Park is a constant reminder of that fateful day, attracting people from all over the world with its moving message of peace. Explore the leafy boulevards and cosmopolitan community, experiencing a Hiroshima that may seem desolate on the outside, but is an iconic and inspirational port to visit. This city is often compared to its Italian sister city, Naples, due to its’s similarities such as mild climate and an active volcano. Sakurajima is one of the most renowned active volcanos in the world, centred in Kinko Bay where it smokes and retains its symbolic presence over Kagoshima. 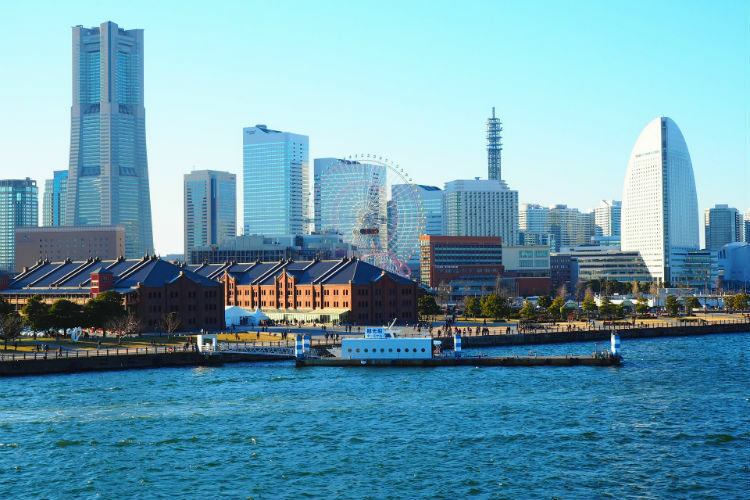 The first harbour city of Japan, Yokohama is often seen as the world’s entrance to Japan. Due to this, the city has been required to adapt to new cultures and information, feeding these to the remaining regions of Japan including food, traditions and more. The city is situated right in the centre of the country, with plenty to offer visitors. 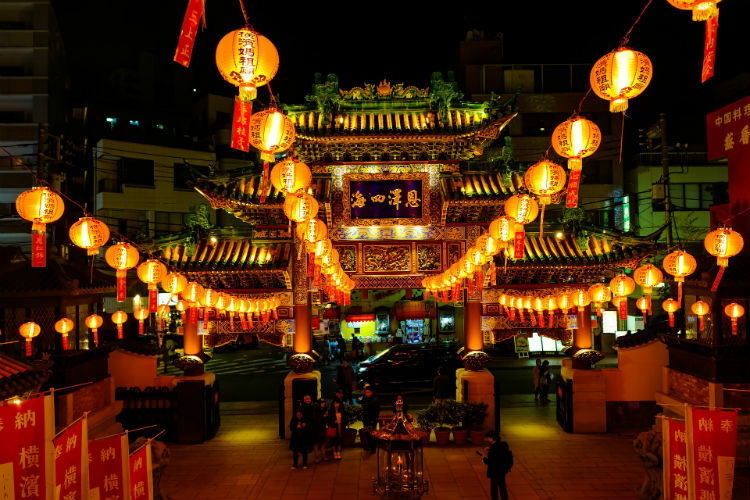 Explore one of the largest Chinatowns with approximately 500 Chinese restaurants, visit the classically-Western region of Motomachi where foreigners first settled, or explore the hustle and bustle of the Minato Mirai 21 area. From Minami’s neon-lighted Dotombori and historic Tenno-ji to the high-rises and underground shopping labyrinths of Kita, Osaka is a city that pulses with its own unique rhythm. Home to some of Japan’s best food, most unique fashions, and warmest locals, Osaka does not beg to be explored—it demands it. Hakodate is Hokkaido’s third largest city and home to some of the best seafood and view from Mount Hakodate. Alongside Yokohama, Hakodate is another city to be one of the first harbours for Japan and opened trade links for the country to international waters. 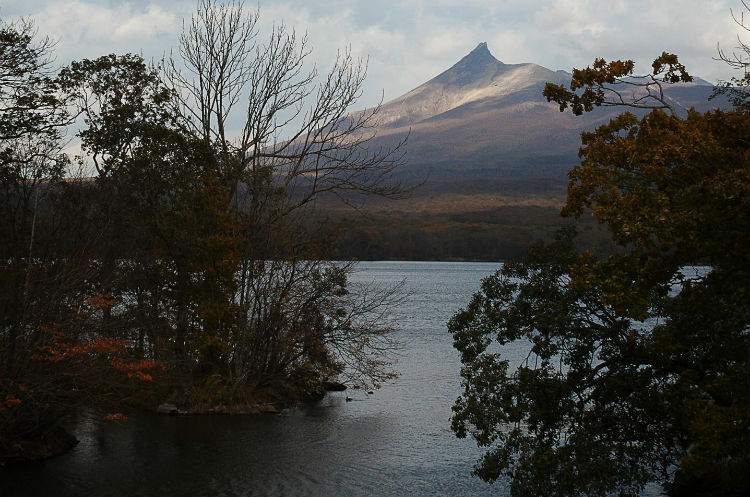 One of the top sights to see is Onuma Park, a quasi-national park with beautiful, island comprising lakes and the majestic volcano, Mount Komagatake. Known for its marbled beef and scenic settings, Kobe is known as one of the most vibrant cities in Japan. 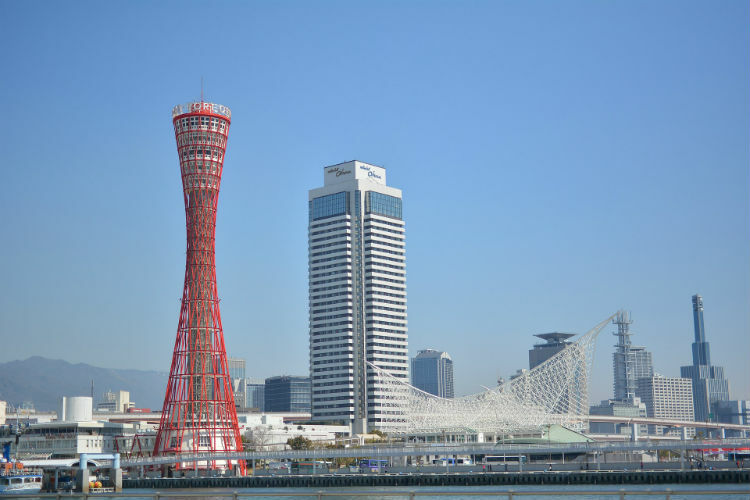 Situated between the sea and the Rokko mountain range, the region is also considered one of Japan’s most attractive cities with picturesque attractions including Sorakuen Garden, Skin-Kobe Ropeway and Nankinmachi, the region’s Chinatown. 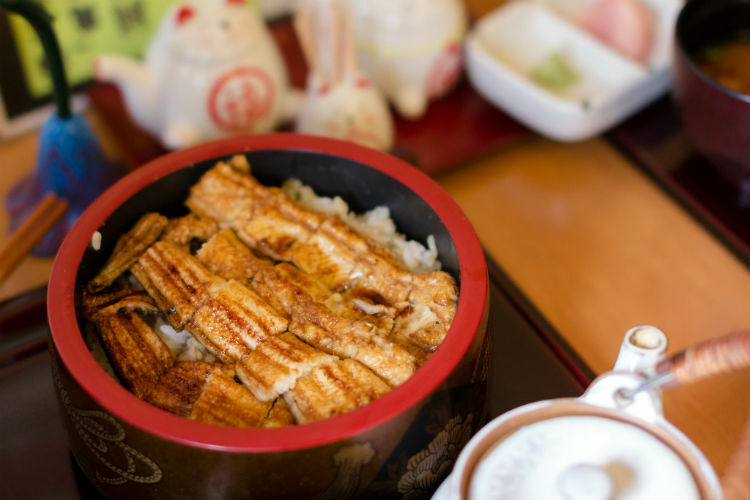 Across Japan, there are numerous ways to immerse yourself in culture and cuisine during your Finest Collection packages. 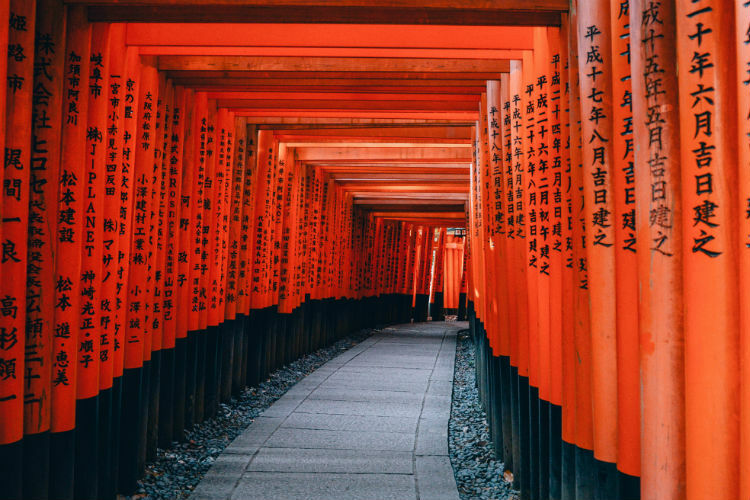 Whether you’re looking for a relaxing stroll beneath the iconic cherry blossoms or ride the bullet train to Tokyo, there are many ways you can visit Japan and make it your own. First opening in 1983, Tokyo’s Disneyland features seven themed lands modelled on the Magic Kingdom in Florida. 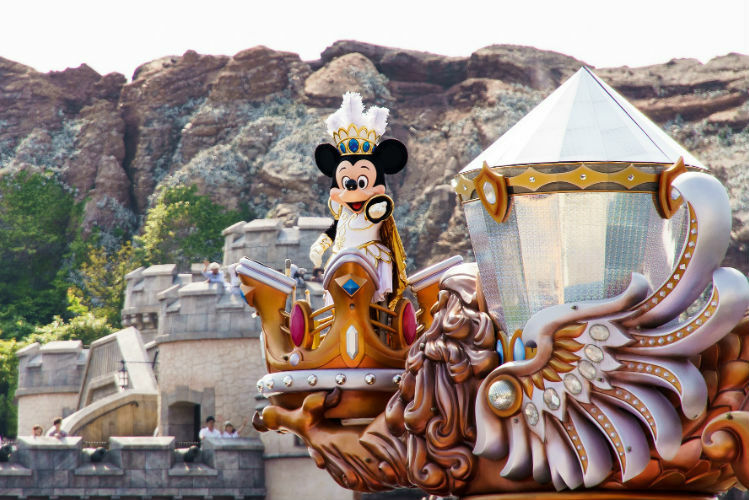 There are two theme parks – Tokyo Disneyland and Tokyo DisneySea, as well as hotels, shops, theatres and more. 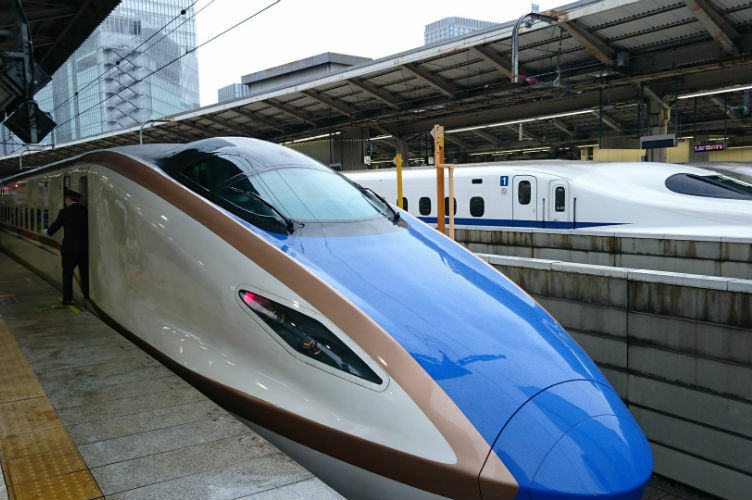 The Shinkansen (Japan’s bullet trains) run at speeds of 320 km/h and are popular due to their punctuality – most trains depart on time to the second! The trains are comfortable and efficient and, thanks to the Japan Rail Pass it’s also a very cost-effective means of travel. The trains connect the main islands of Honshu, Kyushu and Hokkaido with Tokyo and most of the country’s major cities. Set in Yokohama, Minato Mirai 21 is a seaside urban area whose name means ‘harbour of the future’. Comprising many high-rises, shopping centres, amusement park and a relaxation centre with hot spring baths, the area is a top attraction with visitors and forms part of the distinctive skyline of Yokohama. One of Osaka’s major city centre, Minami is a famous entertainment district which offers plenty of dining and shopping choices. 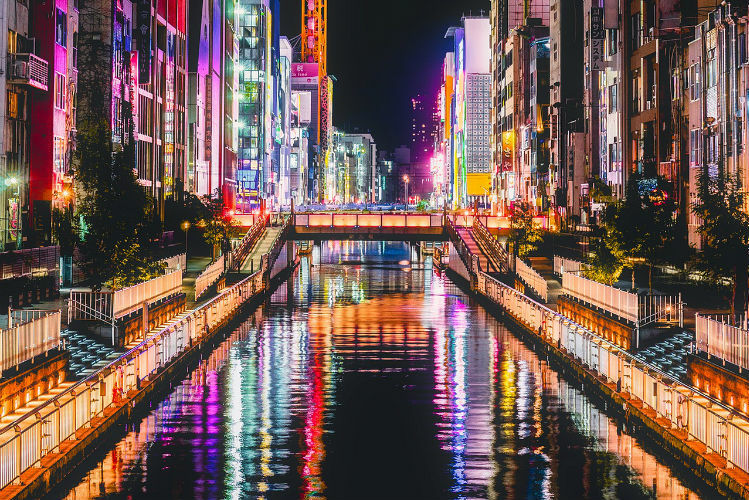 The region runs parallel with the Dotonbori canal which is best seen at night with its neon lights and mechanised signs. Japan’s Universal Studios was the first theme park under the Universal Studios brand to be built in Asia. First opening in 2001, the theme park stretches across 39 hectares and is the most visited after Tokyo Disneyland. There are eight sections to the park: Hollywood, New York, San Francisco, Jurassic Park, Waterworld, Amity Village, Universal Wonderland and The Wizarding World of Harry Potter. Built on the plain in the city, as opposed to the typical hilltop or mountaintop of regal residences, Hiroshima Castle is both the physical and economic centre of the city. 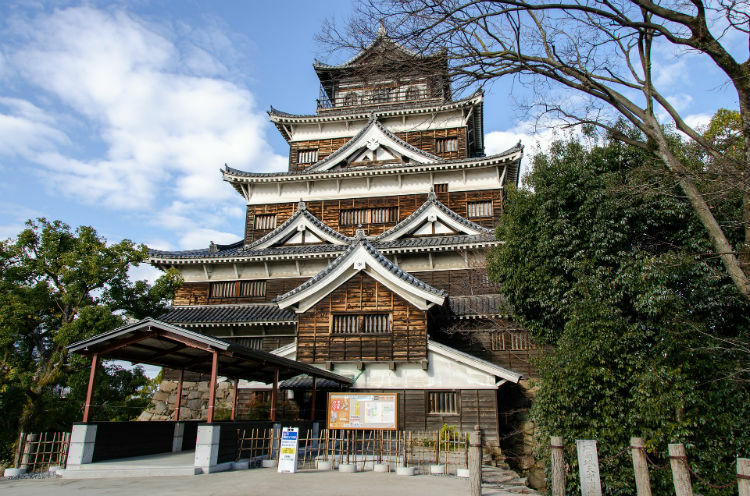 Though it was destroyed in 1945 by the atomic bomb, it’s since been rebuilt and is home to an informative museum depicting the history of the castle and others in Japan, as well as offering panoramic views of the city from the top floor. Located on the former site of Edo Castle, the Imperial Palace is the current residence of Japan’s Imperial Family and sits in a large park area, surrounded by moats and stone walls in the centre of Tokyo. At the front, a large plaza showcases views of the quaint Nijubashi – two bridges that form the entrance to the inner palace. Guests can only enter the inner grounds on 2 January (New Year’s Greeting) and 23 December (Emperor’s birthday), otherwise, they are closed to the general public. You can take a guided tour of the grounds for the rest of the year, though no buildings are entered. 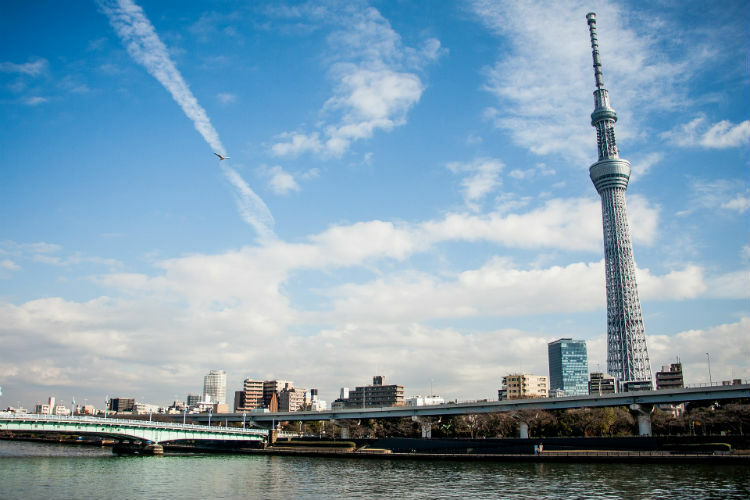 An iconic addition to Tokyo’s skyline, the Skytree is a television broadcasting tower and landmark of the region. Measuring 634m, it’s currently the tallest structure in Japan and the second tallest in the world at the time of completion. An aquarium and shopping centre are situated at the base, however, it’s the two observation decks which are the highlights of the tower. From a height of either 350m or 450m, witness the spectacular views of Tokyo at one of the highest observation decks in the world. Sensoji Temple, also known as Asakusa Kannon Temple, is a Buddhist temple located in Asakusa and is one of Tokyo’s most colourful and popular temples. It’s the region’s oldest temple, having been built in 645 for Kannon, the goddess of mercy. The temple comprises a 200m shopping street called Nakamise; the temple’s main hall and five-stories pagoda; and the Asakusa Shrine. Dedicated to the deity of Emperor Meiji, the Meiji Shrine is located in Tokyo, close to the Yoyogi Station. The whole complex is situated within a forested area which is great for a relaxing stroll during your visit. The main section of shrine buildings is marked by a large torii gate, where the Meiji Jingu forest covers the outside world and creates a tranquil setting to explore. Currently, the Treasure House – which displays many personal belongings of the Emperor – is closed due to renovations ahead of the shrine’s 100th anniversary in 2020. 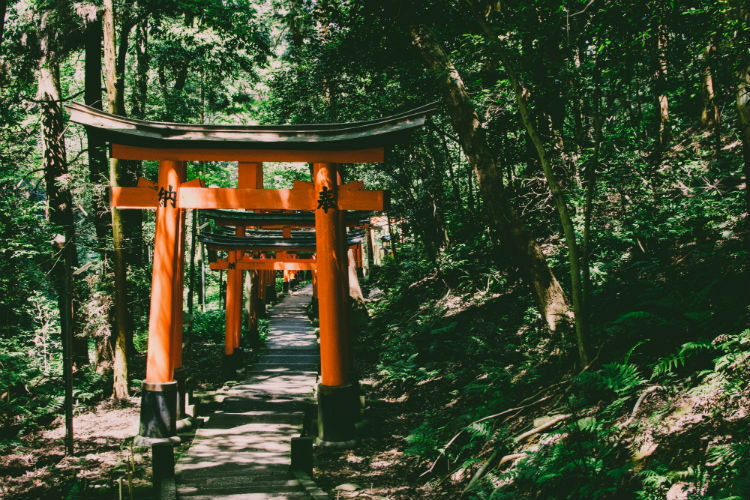 For the ultimate torii gate experience, head to the Fushimi Inari Shrine which is found in southern Kyoto. Here, thousands of bright red torii gates line a network of trails around the wooded forest of the sacred Mount Inari. Inari is the Shinto god of rice and Fushimi Inari is the most important of several thousand shrines also dedicated to him. It’s believed that foxes are Inari’s messengers, so you can also spot many fox statues across the grounds. The harbour of Hakodate was one of the first to welcome foreign trade in 1854, following Japan’s era of isolation. Many traders then came from China, Russia and Western countries, resulting in the district of Motomachi being built which replicate the western-style architecture and influences from Russian and Chinese cultures. Popular buildings include the Russian Orthodox Church, the Old British Consulate and the Chinese Memorial Hall. Another ancient architectural treat, the Shitennoji Temple is one of the oldest in Japan and first to ever be built by the state in 593. Despite being burned down a number of times throughout the centuries, construction also took the original design into consideration to reflect it’s 6th-century design. You can enter the outer grounds for free, though you need to pay for access to the inner precinct. The inner precinct includes the Gokuraku-jodo Garden and the treasure house which displays painting, sculptures and valuable belongings. 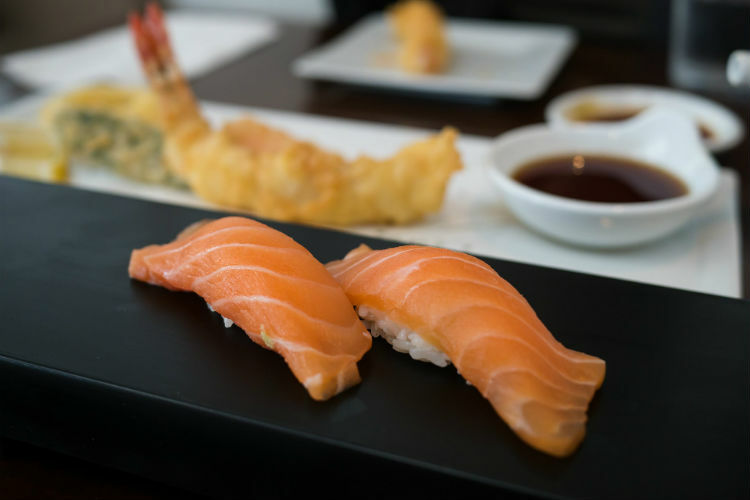 Japanese cuisine is unique, offering a range of foodie delights and gastronomical goodness to enjoy like nowhere else. 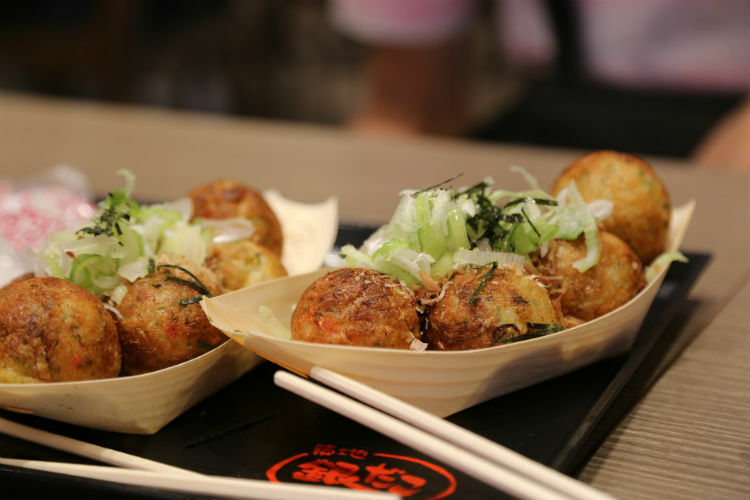 There is a range of regional and seasonal foods, as well as international influences, throughout Japan which gives it one of the top-rated experiences for visitors with an appetite. Restaurants range from street vendors and seasonally-opened terraces over rivers to Michelin star venues. While many follow the Western-style of tables and chairs, there are still some which offer low traditional tables with cushions to sit on the floor. This is referred to as zashiki and you may be asked which you prefer. Oysters – Almost 70% of Japan’s oysters come from Hiroshima, where you can enjoy them at many dining venues. Try them raw with soy sauce, deep-fried, baked, grilled or served on top of rice. Momijimanju – Cake baked into the shape of a maple leaf with a traditional filling of red bean paste, though there are alternatives such as cheese, custard, or chocolate. Translated to mean ‘shrunken-scenery garden’, this spectacle is exactly that. Situated in Hiroshima, the garden displays many features of the traditional Japanese gardens such as tea houses, ponds, and miniature depictions of valleys, mountains and forests. The entire garden is connected by a path which is the best way to see it all during your visit. Japan’s tallest mountain and iconic landmark, Mount Fuji rises 3,776m above sea level to pierce the sky. It lies along the borders of Yamanashi and Shizuoka Prefectures and can be seen from Tokyo and Yokohama on clear days. 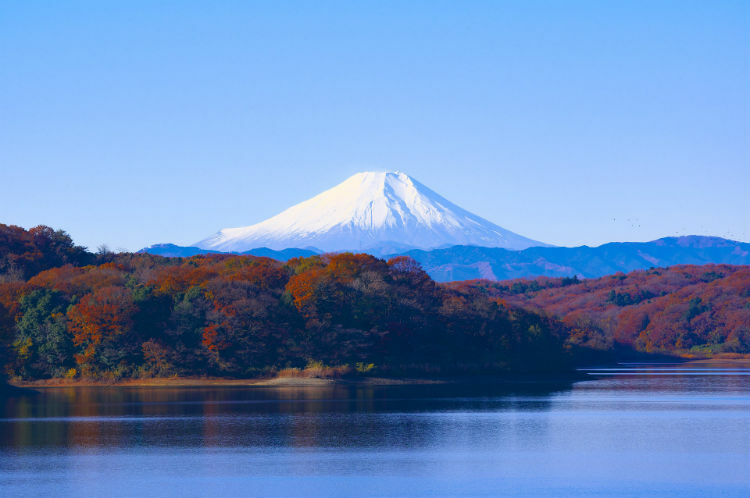 One of the easiest ways to view this sacred mountain is from the trip on a trip between Tokyo and Osaka, however, if you’d like to stand an view it from a stationary point of view, then Fuji Five Lake is a nicer, natural surrounding at the foot of the mountain. Another iconic Japanese image and one not to be missed is the blooming of the cherry blossoms. This is a huge event throughout Japan, with news reports, food menus and festivals all commemorating the event as the trees go into full bloom across the country. The season is typically from March through to May, depending on the area. 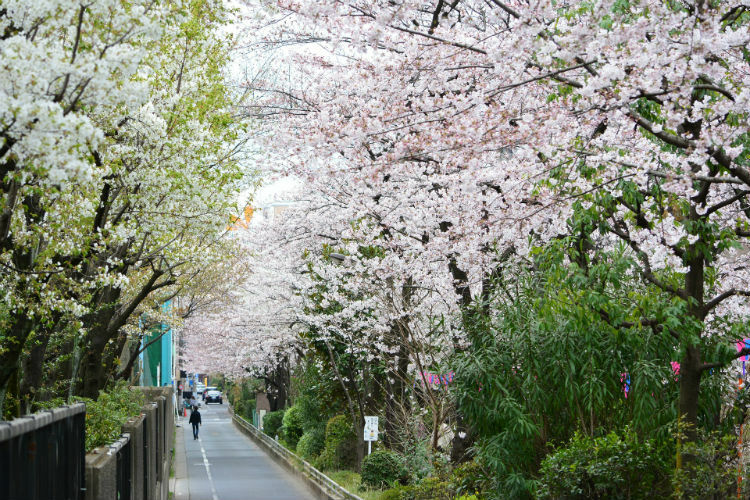 The best places to see them include Shinjuku Green in Tokyo which is home to over 1,000 species of blossom, or sakura. Another popular place is Yoyogi which has fewer trees but a larger expanse to sit and picnic beneath the trees – a tradition welcomed by all. 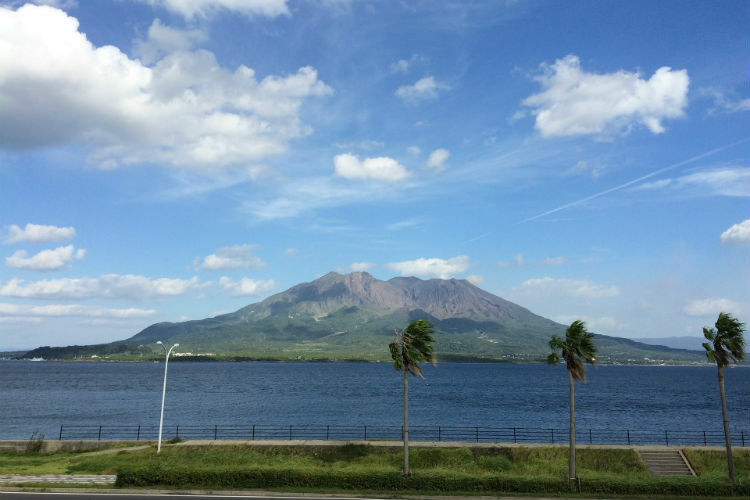 Sakurajima is one of Japan’s most active volcanoes and the symbol of Kagoshima where she is situated. The volcano smokes constantly, with minor eruptions taking place each day. The volcano is located in the middle of Kagoshima Bay and is the area’s most prominent feature with an elevation of 1,117m and reaching almost 50km wide. It is prohibited to approach within 2km of Sakurajima, but there are many observation points around the volcano where you can watch the clouds of smoke form. Found close to Kagoshima Bay is the Senganen Garden, which follows the northern coast of Kagoshima and is another place to view Sakurajima from. The garden includes small ponds, streams, shrines and a bamboo grove and also showcases excellent views of the scenery across Kagoshima Bay. The gardens also include the Iso Residence which was home to the Shimazu family in the 1890s and has been preserved as such to view on guided tours. Nara Park is a large park in central Nara and home to a number of the region’s main attractions such as Todaiji, Kasuga Taisha and Kofukuji. The park is also the home of hundreds of free-roaming deer which are messengers of the gods in Shinto. 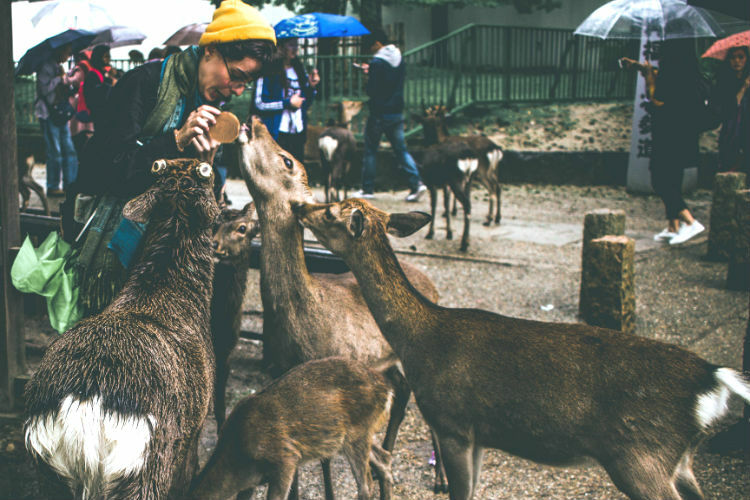 These have since become symbols of the city and are considered a national treasure, you can even feed them with deer crackers available to purchase around the park. This national park is just 20km north of Hakodate and offers picturesque, island-dotted lakes and a majestic volcano – Mount Komagatake. The park is easily visited from Hakodate via train for a day of walking the trails. One of the most attractive areas is situated between the two lakes Onuma and Konuma. Visitors can also rent bicycles to explore the trails or, during the warmer months, enjoy a boat tour around the lakes. Founded in Hiroshima in 1920, Mazda has retained its original, corporate headquarters in the city of its origin. The museum can only be viewed as part of a guided tour, which needs to be reserved prior to visiting. These tours include access to the manufacturer’s actual vehicle assembly line, grounds of the Mazda Hiroshima Plant, and an overview of the company’s history as well as a gift shop. 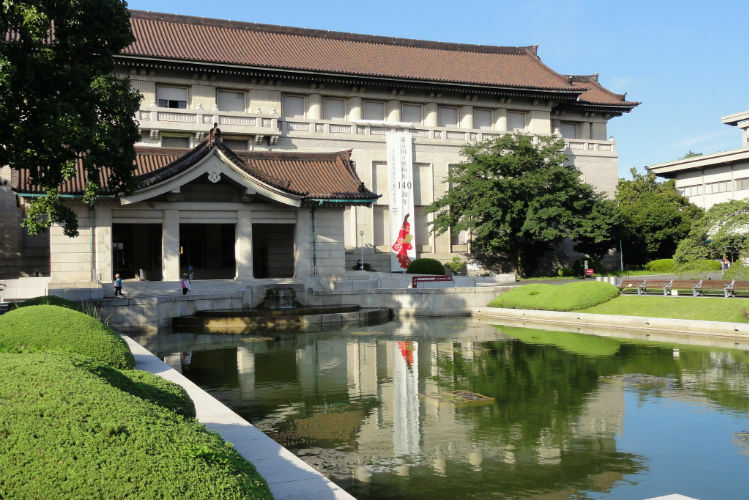 One of Japan’s oldest and best museums, Tokyo National Museum is considered a must-see to all who visit the region. It features one of the largest and best collections of art and archaeological artefacts in the country, made up of around 11,000 individual items, including nearly a hundred national treasures. From art exhibitions and antique Buddhist statues to religious objects and costumes, it’s definitely the place to visit for an intricate look at Japan’s history and culture. 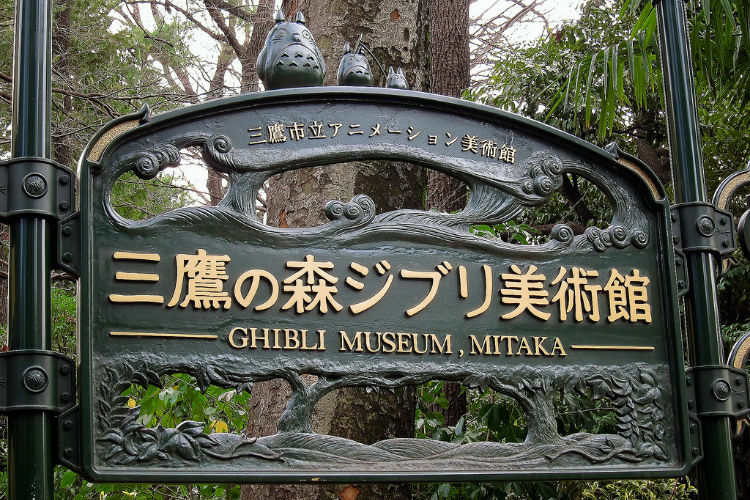 Created in memory to one of Japan’s most famous animation studios, Studio Ghibli, this museum is located just outside of Tokyo and is a must-see for fans of the films such as Spirited Away, My Neighbor Totoro, and Howl’s Moving Castle – some of Japan’s highest-grossing films upon their release. The museum is designed in the style of the studio’s films, including famous characters and exhibits of animation techniques. If we’ve left you longing to visit Japan, take a look at our latest cruises to this fantastic destination by clicking the button below. We also have plenty of bespoke packages to Asia & Indian Ocean, many of which explore the ports of Japan. With these, you can tweak the packages to suit your preferences – tailoring a Finest Collection package just for you! Simply call our Cruise Concierge team on 0808 202 6105 for expert advice on cruising to Japan and creating a bespoke cruise and stay package just for you. Emma has more than six years' experience as a writer and has been in the travel industry for over a year. She loves learning of new places and cruise ships coming to market, as well as discovering fun and exciting activities to do while you sail. She has cruised with Royal Caribbean and is looking to get something in diary for 2020! Her favourite things to see on a ship include excellent entertainment, a delicious cocktail menu and extraordinary dining venues.